There are a lot of really famous paintings and art installations in the world and if you ever wanted to learn more about them, there’s an app for that. 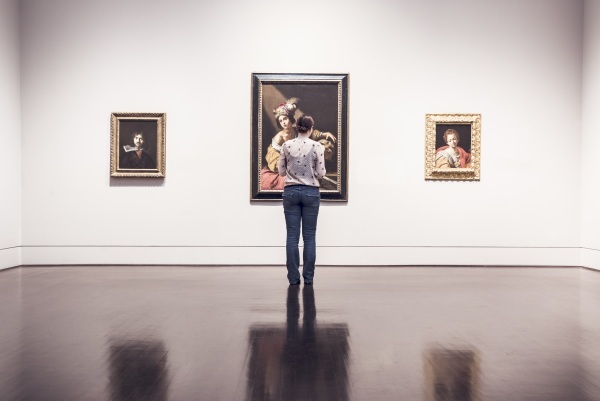 Smartify is a free app that scans art and gives you the details on its background sourced straight from museums and galleries. This app is great for people who are exploring art museums or traveling to places with many installments. Sure they usually feature plaques with some general information but this app gives you the resources to deep dive into what’s happening on the canvas so to speak. Name of the work, artist and the history of the piece are all at your fingertips, with just a simple scan. This is a great app to supplement education or just for the artistically curious. It is available for both Apple and Android devices. Currently they are in partnership with some of the world’s top museums are working to add more. This is exactly what is not needed. Firstly, the blurbs that they showed in the ad come straight from Wikipedia. There are no insights on Wikipedia. Secondly, why would anyone think that what the world needs more of is a cultural experience mediated through a smart phone? Let us replace someone actually looking at the piece unmediated and deciding what they think, with staring at what someone else wrote about it while you are blocking other people from approaching the piece. (Which leads naturally into my) Thirdly, there is no freaking way that they have anything other than marquee pieces in this app. Meaning that they do not have a deeper catalogue of art than can be found using a google image search (which is what I expect is the backbone of this app anyway). So this will only aggravate the logjam in front of the A-list art, because they will be what is available and will have the most detailed information around them. This just compounds the problems caused by those awful audio guides. Fourthly, what the hell is wrong with the little plaques next to the painting? and most reputable art museums these days already have a smart phone guide to their collection. This is a very stupid and annoying project. Oh god I hate this app developer. I truly do. I think that everyone experiences art in a different way and everyone has a different way of “seeing”. This may not be a great app for you but for someone else, it may help them to a better understanding of how powerful a piece is or why it’s so important culturally. It can help them pick out the details or simply appreciate it for it for what it is. As for what’s wrong with the little plaques, for some people it’s an accessibility issue. This app might help someone with that especially if the museum doesn’t have it’s own app (my local art museums do not). Please don’t think I am faulting you for posting this, but I am totally faulting the makers of this app. Turns out it is even worse than I imagined, which is saying a lot. I was wrong about how they search for the image. If you look at the specs and reviews for the app, it turns out that they are “working with museums to get permission to host their paintings”. Most of the reviews are angry that only the headline art is hosted even at important collections that are cooperating. As for accessibility, I am fully in agreement that is an issue. That is also why this app is a failure. The scan must be made standing at the correct distance and aspect to the work for the search to be successful, and then the frame must be held until recognition is complete. This is simply not something that is a reasonable demand from any museum-goer, let alone someone with accessibility challenges standing before a popular artwork. The plaques aren’t perfect, but they are universal and curator approved. Unlike Wikipedia’s often bizarre takes on art. The best solution is to fully fund smaller and local art collections so the curators can do their jobs. Then there is the very simple problem that many collections absolutely forbid photos of the art, for many good reasons that go beyond owning the image rights. It is an unfair burden on the museum staff to police people who are using their cameras to scan for more information, and those sneaking a picture.